Hong Kong Wire Work (aka HK wire work) is prevalent and is an increasingly popular technique for visual productions in the action genre realm world wide. Experience and learn the basic principles of performing and pull assisting Hong Kong Style wire work with qualified instructors at Fast Motion Studios. This workshop will showcase and educate industry professionals throughout the entertainment sector; TV, film, new media, and gaming. 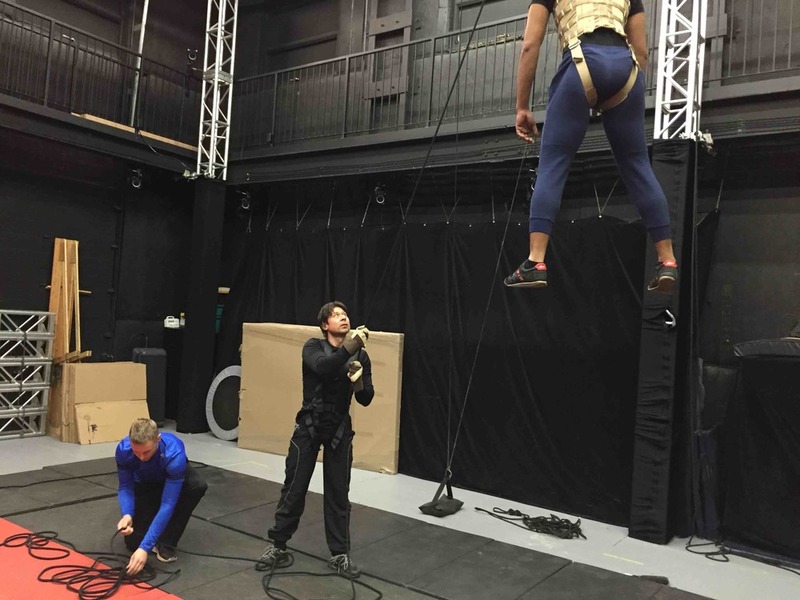 It is geared towards action directors, stunt performers, aerial technicians, stunt riggers, and fight coordinators. This advance course shall enlighten the experienced individuals on the realm of how to be creative while developing wire work execution techniques. Giving them the expertise to move there careers forward. Geared towards action directors, stunt performers, aerial technicians, stunt riggers, and fight coordinators. Reserve early as placement is limited to a 10 (ten) individual maximum per course. Payments accepted by Cash, cheque or Credit Cards, please add a 3.5% surcharge if paying by credit cards.